It’s Screen-Free Week! Let’s Play Outside! The American Academy of Pediatrics recommends that children under 2 should watch NO TV and children age 2 and over should watch less that 2 hours per day. But, on any given day, 29% of babies under the age of 1 are watching TV and videos for an average of about 90 minutes. Twenty-three percent have a television in their bedroom. TV watching “rewires” a child’s brain, leading to attentional issues by the age of 7. 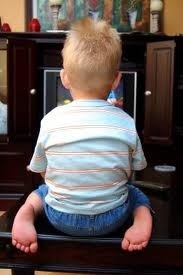 The “pace of TV is sped up” leading the young infant to believe that the “quick scene shifts of video images” is normal. TV watching may over stimulate the child’s brain, “causing permanent changes to developing neural pathways.” As a child is staring at the TV, these hugely important neural pathways are not being developed. Some toddlers are becoming so addicted to iPads and smartphones that they require psychological treatment. “They can’t cope and become addicted, reacting with tantrums and uncontrollable behavior when they are taken away.” Young technology addicts (some as young as 4 years old) experience the same withdrawal symptoms as alcoholics or heroin addicts and are enrolled in a “digital detox” program that weans children off computer games and mobile phones. This information is disconcerting, to say the least, and needs to be taken seriously. I worry about our children’s social emotional development, ability to interact with others, language development, and their communication skills. 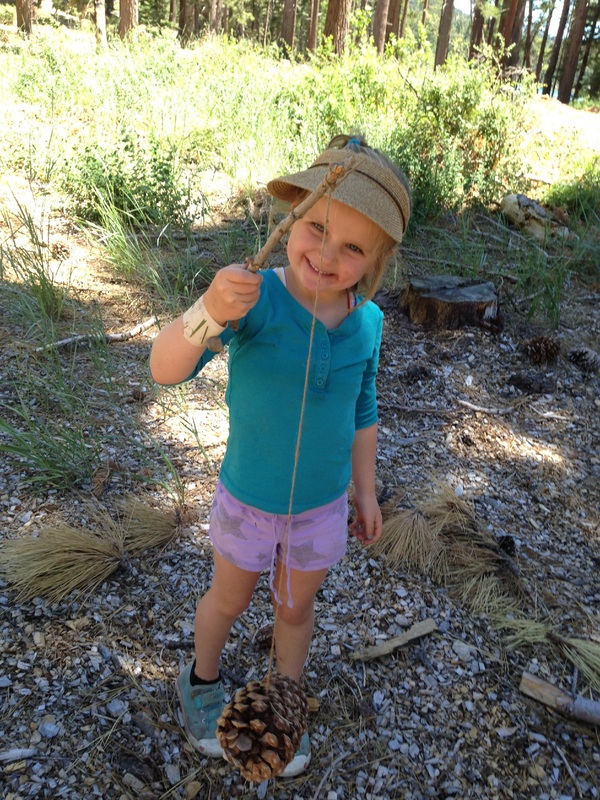 Research shows that children learn one-on-one from people, not from videos and television! This Rope’s Not Just for Jumping! The jump rope is one of the most inexpensive and versatile pieces of equipment your child or school can own. The jump rope has been neglected, made available primarily for girls, and has been used for a single purpose: jumping. The rope should be 7-8 feet in length and be flexible and pliable. With a little imagination and creativity, look at the rope and think of all the things you can do with it besides jumping. Walking the Snake: Place a 16’ jump rope on the ground in a zigzag pattern. Invite the children to walk on the rope as if it were a tightrope. 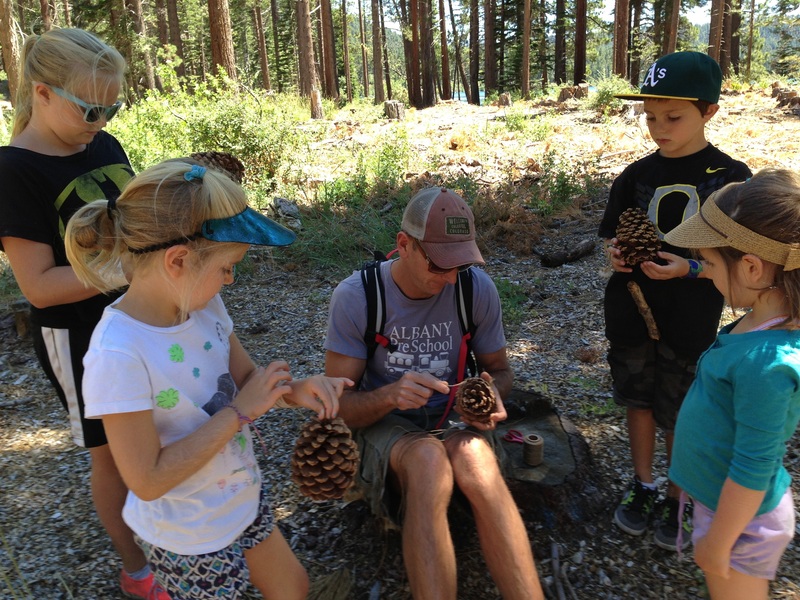 This simple activity builds a surprising number of skills! Eye-foot coordination…balance…taking turns…and more. High Water – Low Water: Two people hold each end of the rope. Children take turns leaping over the rope. Increase the height after everyone has had a turn. Provide a mat for safe landings. Wind the Clock: One person spins around while holding one end of the rope. The rope is swung around in a circle along the ground. Children jump over the rope as it nears their feet. The children usually chant a nursery rhyme like “Hickory Dickory Dock” or some other rhyme to make it more fun. Jump the Brook: Two ropes placed on the ground in the shape of a “V” become the “brook.” The ropes touch at one end and are angled so that each jump across the brook is longer and becomes a bigger jump. Rope Obstacle Course: Thread a rope between the slots or notches in the top of two cones for jumping over or crawling under. Make three circles with three ropes. Jump from one circle to the next. Lay a rope in a straight line that is to be followed or straddled. Place two ropes parallel to each other and one foot apart. This can be a path for walking, jogging, jumping or hopping. All Aboard: Young children don’t really have the coordination to jump rope, but they can hang onto the rope with a bunch of their friends and pretend to be a train. Make your very own Wooden Train Whistle and with a “Choo! Choo!” children can move from place to place while having fun! 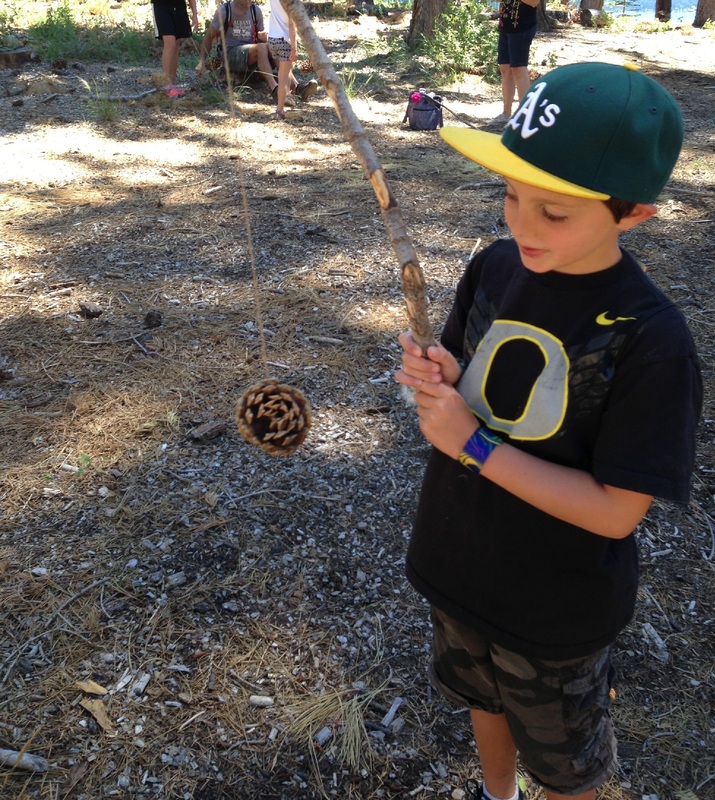 Make A Shape: Ask children to place their rope on the ground and make a circle. Call out directions for children to, “Jump into the circle. Turn around inside the circle. Jump out of the circle. Walk around the circle. Put your foot in the circle. Put your whole body over the circle.” After children know the game, move on to other shapes such as a triangle or square. Remember, most of these activities can be accomplished using your homemade Bread Bag Jump Rope or even a thick piece of yarn. I must share with you a new “find” that I just LOVE! It encourages movement and provides a multitude of other benefits too — balance, coordination, cooperation, and fine motor skills. The item, Egg and Spoon Race (AP25028J) gives a new twist to the old classic Egg and Spoon Pass. This new version is definitely appropriate for the toddler and preschoolers but school-agers love it too. Parents and teachers will also “crack-up” when they see what happens when the egg drops from the spoon. 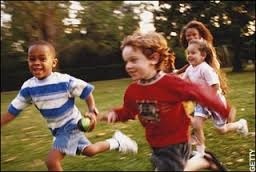 Instead of chocolate bunnies and Easter candy, I’m planning on adding Egg and Spoon Race to all five of my grandchildren’s baskets! What fun we’ll have as we play the following game. 1. Place cones 10-20 feet across from each other to designate “start” and “finish” lines. 2. Place Hop Around Steps two feet apart from each other between the start and finish lines. Let’s Get Started:1. Divide the children into four groups (teams or squads) of equal numbers. Children in each team stand in a straight line or row, one person behind the other. 2. Provide the first child on each team with a spoon and egg. 3. The first child places the egg in the bowl of the spoon. 4. On the command, “Ready, Set, GO!” the race begins as the child walks in and around the Hop Around Steps to the “finish” cone on the opposite side, circles around it, and walks back to his team. 5. He gives the egg and spoon to the second member of his team who then walks holding the egg and spoon and weaving in and out of the Hop Around Steps and back to the start where he passes the egg to next member on his team. 6. The game is over when every child has had a turn carrying the egg in the spoon and the child who started the relay returns to the head of the line. 7. If the egg drops out of the spoon, the child must stop, pick up the egg bean bag and eggshell, put it back together, place it on his spoon and then continue. • With younger children have them just walk from the start to the finish and drop the egg into a bucket. • With older children challenge them to travel in a different way, i.e., run, jump, walk backwards, skip. • Toddlers can toss the egg and watch them break. The eggs actually sound like real eggs breaking when they hit the floor. • Set out a Balance Beam (248) and have the children hold the egg and spoon as they walk across the beam. 1. Go outside and play Shadow Tag: Instead of tagging bodies, the children step on each others’ shadows in this run and chase game. 2. Shadow Freeze: Play lively music and have children move in the open space. When the music stops, children must “freeze” their shadows. How long can they hold their shadows still? When the music starts again the children resume moving. 3. Shadow Dancing: Imitate each other’s movements. “Shadow Dancing Song” by Greg and Steve on “Kids in Motion” CD. 4. Shape Parade: Take your rhythm instruments outdoors and have a parade. Use appropriate marching music. Draw large shapes (circle, triangle, square, rectangle) with chalk on your outdoor surface. Have children march with instruments around each shape. 5. Create a unique movement path by placing Riverstones (AP6226J) or Activity Hoops on the ground. Pretend they are rocks in a river. Get from one side to the other without stepping in the river. 6. Go for a Wacky Walk: Place Movement Spots (arrows, shapes, hands and feet spots) on the ground outside. Make paths for children to go in straight lines, then zig-zag lines, then curvy lines, and then try walking backwards. Place the hands and feet spots in such a way to encourage children to walk like dogs or bears. 9. Snakes: Give each child a Nylon Jump Rope (RPST) and instruct them to place their rope on the ground in the shape of a “snake.” The snakes should all look different. 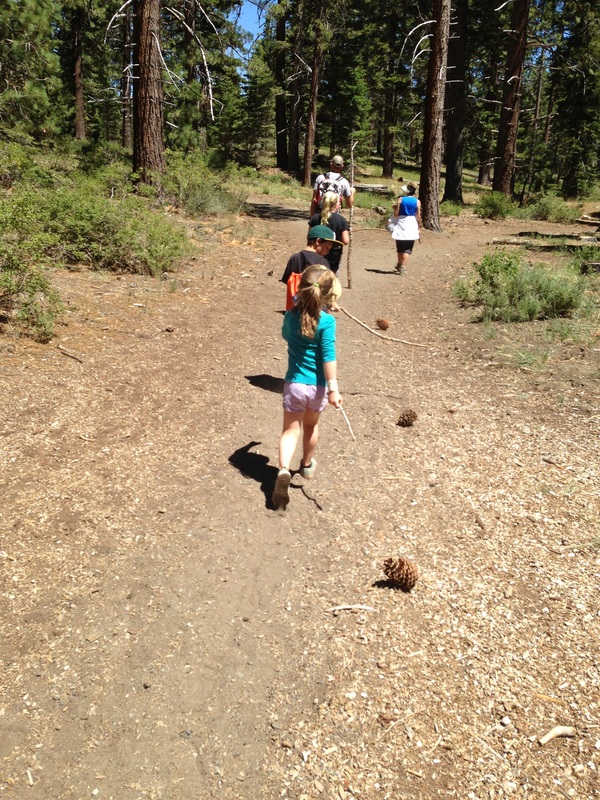 When you say, “walk,” the children are to walk around without stepping on any of the rope snakes. Now add a variety of other locomotor movements as ways to travel around the snakes–tiptoe, run, jump, hop, gallop, skip, walk backwards. 10. One, Two, Buckle My Shoe: Take children outside and have them line up (shoulder to shoulder) facing you. Instruct children to clap and jump on the numbers in the rhyme and then act out the words. Do it in unison. Nine, ten…A big fat hen. On the word “hen” let children run in a circle counting from one to ten. On ten, they must be back in place to start the rhyme again. Toddlers to preschoolers will enjoy letting their imaginations “run wild” as they take a trip over a bridge (carrying a baby doll, animal or other object) crossing a swamp where a hungry alligator lives. Children are to walk the beam and put the object they are holding into a basket at the other end of the beam. When crossing the “swamp” children chant, “I’m walking, I’m walking, I’m walking across the swamp. I hope that alligator doesn’t go chomp.” Explain that the alligator who lives in the swamp will not bother the children as long as they stay on the beam and don’t drop anything that they are carrying. If they do drop something or step off the beam, the alligator (you) will chase them until they deposit everything they are carrying in the basket. This is play with a purpose — promoting physical, cognitive and social emotional development. What fun…and learning! 1. Low Balance Beam (248) – a bridge over a swamp (floor) where a hungry alligator lives. 2. Variety of safe objects to carry—soft babies, plastic animals, beanbags, blocks, etc. 3. Basket or bucket placed at far end of balance beam. 4. Adult to role play alligator moving around in open space (swamp). 1. Give child one object. 3. When child reaches end of the beam they are to toss or drop the object into the basket. 4. Explain to children that they should not step off the beam or drop anything into the swamp (floor) because the hungry alligator (adult with extended arms moving up and down like alligator’s jaws) will chase them until they put what they are carrying into the basket. 1. Give children more things to carry each time they attempt to walk across the alligator swamp. 2. Ask children to carry beanbags balanced on their heads and shoulders. 3. Have children move across the balance beam using other modes of travel. Continue by interjecting other movements such as: “I’m swimming, I’m swimming, I’m swimming across the swamp. I hope that alligator doesn’t go chomp.” Can also do tip toeing, jumping etc. 1. Gross motor coordination—using the trunk and large muscles and limbs of the body—to walk with legs and hold and toss items with arms and hands. 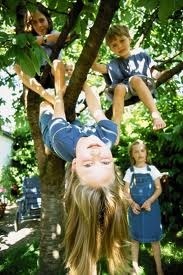 Gross motor movement is the predecessor to fine motor skills that are required for formal school work. 2. Dynamic Balance—being able to hold the position of the body when the body is moving—walking across the balance beam. Self-control is important for learning. 3. Eye hand coordination—eyes and hands working together to toss the beanbag into the basket. Eyes and hands need to work together in order to write. 4. Imagery—formation of mental images by memory, imagination or fancy—pretending to cross a bridge over a swamp inhabited by an alligator. Imagination is the precursor to intellectual development. 5. Self-confidence—faith in oneself and one’s own abilities—children can cross balance beam and deliver the object without dropping it.